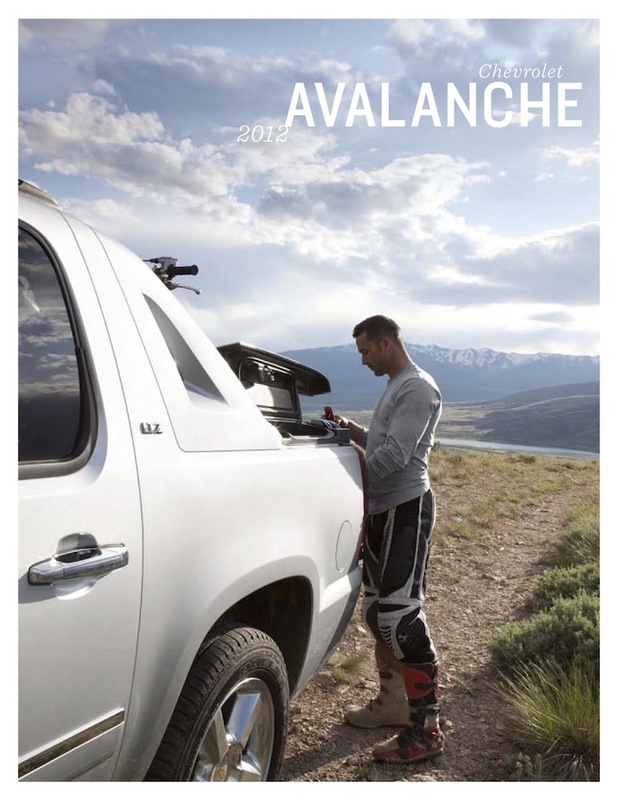 Sales brochure for the 2012 Chevy Avalanche Truck. Three models are featured: the Avalanche LS, Avalanche LT, and the Avalanche LTZ. They come with the 320hp, 5.3L Vortec V8. Exterior colors include Black, Imperial Blue metallic, Blue Topaz metallilc, Blue Granite metallic, Victory Red, Graystone, Silver Ice metallic, White Diamond tricoat, and Summit White.